Greek myths of Hephaestus and Daedalus incorporated the idea of intelligent robots and artificial beings like Pandora. These “automaton” beings such as Talos would protect Crete from invaders. Ancient Greeks spoke of the idea of biotechne, how biological phenomena such as aging can be altered with technology of humans. Through their myths and stories, scholars wrestled with what it meant to be human and how man can push his biological limits to what he can give life to. These stories involved giving a sort of human intellect to inanimate objects and, through this, creating a machine that questions what humanistic values might differ from those of nature. Writers portrayed automaton such as the defender Talos, working through blood vessels behind a bronze robotic armor, with human qualities such as emotions and judgements. These primitive forms of artificial intelligence challenged what it meant to be human by stretching the limits of what man can create. 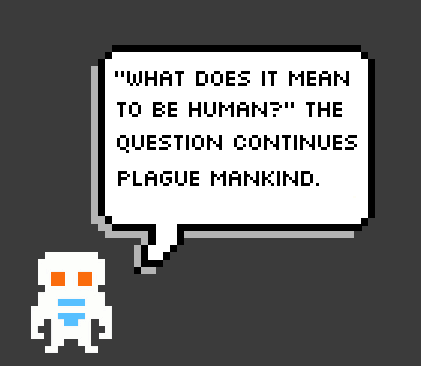 The same questions would persist through historical debates of artificial intelligence. Scholars debate how much of Greek history of automata is true and how much is due to mythology. Hero of Alexandria made many inventions of automata that included one that could speak. Greek artists and writers described sebas (awe), thauma (wonder), and thambos (astonishment) of these stories. Shock and surprise of these statues parallel the sentiments of the Uncanny Valley, an averse psychological reaction to human-like robots. 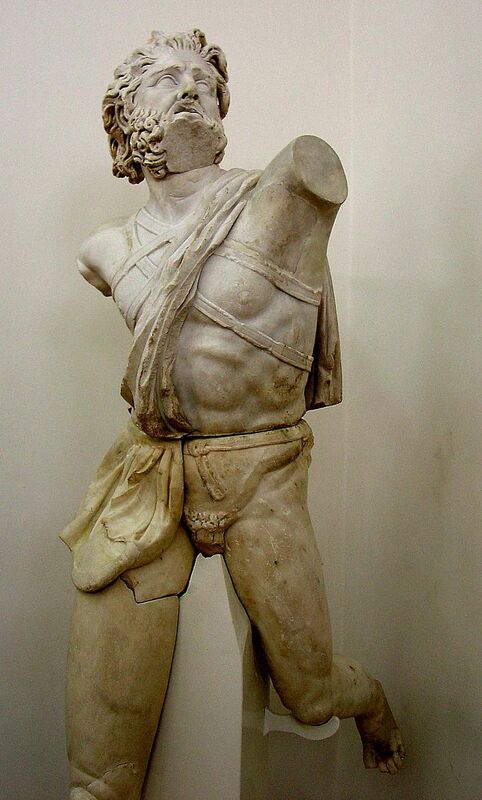 Daedalus’ statues would continue to frighten characters in plays by Euripedes and Aeschylus. Satyrs, drunken woodland gods, exclaimed their shock of their own sculptures so realistic that they only needed their voices to come alive. 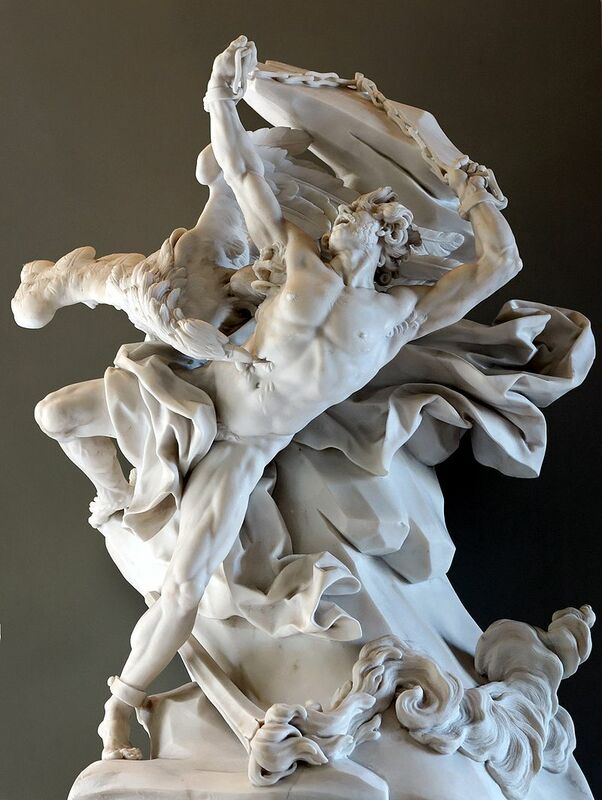 Daedalus, a craftsman in Greek mythology, was the first mortal to create “living statues,” of bronze sculptures that showed human characteristics. Living in Attica, Daedalus created these bronze sculptures so they could move their eyes, form tears, bleed, move, and speak. Daedulus also created a cow of wood to satiate the lust of Queen Pasiphae, the queen of Crete in mythology. When the cow mated with a bull, they gave birth to the half-man half-bull minotaur. Creating this monster from a half-human half-animal hybrid represents this fear of intersecting mankind with technology. 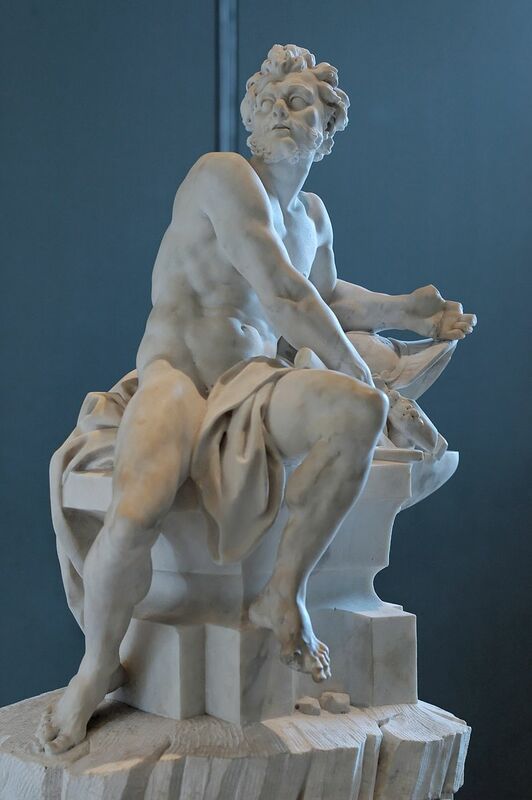 Daedalus taught craftsmanship to his nephew, Talos of Athens (not to be confused with the automata Talos that defended Crete). Talos had a lot of success in building a serrated saw and an snake-like iron tool to cut wood. Daedalus grew jealous and pushed him off a cliff to his death. Townsfolk witnessed this, though, and tried him for murder. Daedalus fled to Crete where he began his Cretan adventures. Greek philosopher Socrates compared the act of alternating arguments to Daedalus’ moving statues in the book Alcibiades, I by Plato. Other Greek scholars would compare Daedalus’ automata to slaves similar to the arguments of current artificial intelligence ethicists who emphasize how robots must be seen as man’s tools. Greek philosopher Aristotle defined automata as “a kind of puppet with the ability to move by itself” according to writer Armand Marie Leroi in The Lagoon: How Aristotle Invented Science. There is only one condition in which we can imagine managers not needing subordinates, and masters not needing slaves. This condition would be that each instrument could do its own work, at the word of command or by intelligent anticipation, like the statues of Daedalus or the tripods made by Hephaestus, of which Homer relates that “Of their own motion they entered the conclave of Gods on Olympus”, as if a shuttle should weave of itself, and a plectrum should do its own harp playing. Philosopher of science Sylvia Berryman wrote that Olympian gods didn’t use technology in their myths, but the god of metallurgy, invention, and technology Hephaestus created Talos, and ancient writers projected their ideas of self-motion and magic onto the automaton. Talos had the power to overheat his enemies by heating his own metal. Hephaestus also created gold and silver mechanical guardian dogs to serve a king. His work even extended to robotic horses that pulled a chariot and creating a replacement ivory blade for the hero Pelops. Drawing this connection between man and nature, the Greek mythologies explored questions of how much control man can exercise over the environment by tampering with animals and other forms of nature. From stories that demonstrate characters with powers to control aging, otherwise regarded as a steady, unmanageable movement of time, the roots of genetic engineering and the resulting ethical dilemmas formed. The myths told of a sorceress Medea who knew the secrets of youth and appeared to Jason, the leader of a band of heroes known as the Argonauts. Charmed by Medea, Jason fell in love and asked Medea to bring his old father back to a younger age. By replacing his father’s blood with herb juices, Jason’s father Aeson experienced a bursting youthful energy. However, an old man Pelias was an enemy of Medea, so, when Pelias’ daughters were amazed at Aeson’s youth, Medea tricked them into killing Pelias himself. She did this by showing them how to restore an old ram to youthfulness using pharmaka (drugs) by slitting the ram’s throat and boiling it. The daughters then proceeded to do the same to Pelias, resulting in his death. This story shows marked similarities to modern fears of genetic engineering and tampering with the DNA of animals such as Dolly the cloned sheep in the 1990s. In another story, Jason and the Argonauts had to fight the Argonauts human-like cyborgs known as “replicants” created by Medea’s father. Jason plowed a field with robotic fire-breathing oxen created by Daedalus and plants dragon teeth in the soil. Invincible, fully armed skeleton-warriors grew from the teeth and began attacking mercilessly without direction. Because of this, they went after Jason and the Argonauts themselves. Jason threw stones at them which caused the robots to re-program their behavior. This happened such that the robots would attack what was closest to them and, because of this, kill each other. 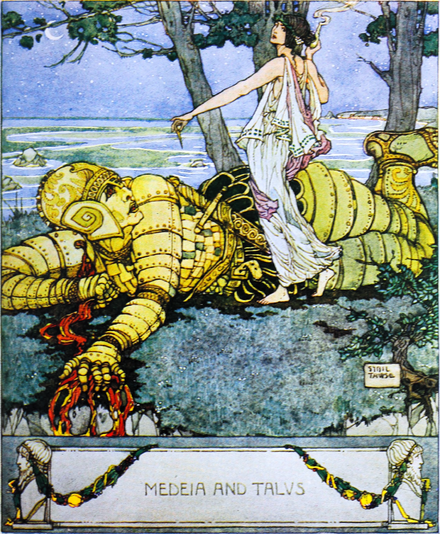 In another myth, the robot Talos threatened to kill Jason and the Argonauts so Medea removed an essential bolt in Talos’ ankle. This method of taking advantage of a computer might represent a victory of man against a machine. In re-programming a robot, man exerted this control, but the story itself is still a grim reminder of the fears of robot technology in general. According to mythology, Hephaestus created the automaton Pandora who opened a jar (often mistranslated as a box) that brought all evil to humanity. Historians of Ancient Greece described Pandora as a woman Zeus ordered Hephaestus to create to punish mankind for accepting the divine technology of fire the Titan Prometheus stole. Warnings about opening Pandora’s jar parallel modern day fears about pursuing artificial intelligence recklessly such that humans may lose control over it. Roman poet Ovid shared the story of Pygmalion, a sculptor who married his sculpture of a woman, Galatea, after goddess of beauty Aphrodite breathed life into it. 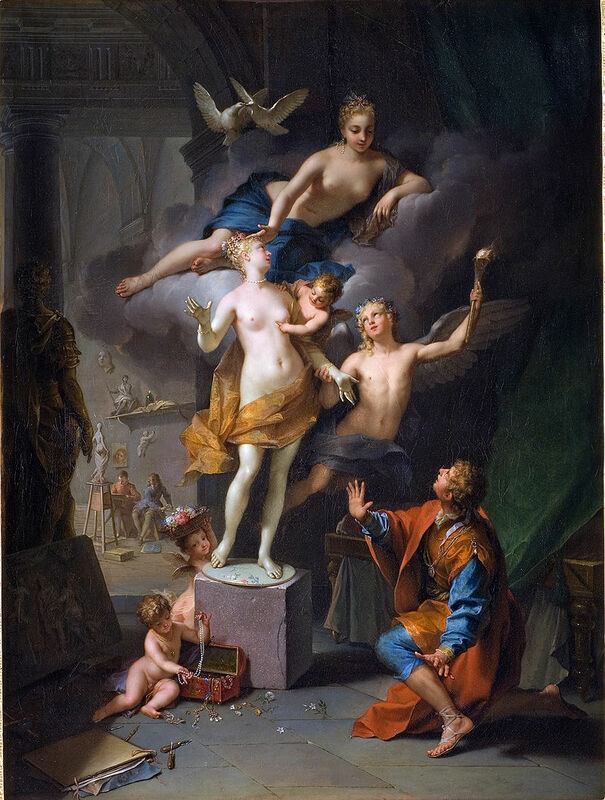 Aphrodite granted this wish to Ovid after Ovid fell in love with his own statue and described how he “burned with passion for her.” Bringing earth to life would also appear in the myth of Zeus’ great flood. After son of Prometheus Deucaliion and his wife Pyrrha were the only survivors of the catastrophe, they repopulated the Earth by throwing stones which transformed into people. Prometheus would also create human mannequins from clay that Athena would bring to life. Relationships between humans and robots continue to shape today’s discussions on consent and sexuality of artificial intelligence. Greek engineering would also show these innovative ways of stretching human elements to machines and similar technologies. Just after the beginning of Anno Domini years, an engineer named Ctesibus created hundreds of machines using hydraulics and pneumatics, engines that used pressurized air, that functioned on their own. His other work included the steam turbine military weapons. Around 400 BC, polymath Archytas created a mechanical steam-propelled bird. Later scholars would create animated figures that could make sounds, open doors, and even attack. These methods of automation would form the primitive methods of ascribing human characteristics to machines. Over the second to fourth century, the Buddhist tale of a seductive female robot appeared in Mahavastu. This lifelike girl known as yantraputraka (“mechanical girl”) seduced a painter that the robot’s inventor invited. When the painter grabbed the robot, she broke into pieces. The painter got revenge on the inventor by creating a hanging corpse of himself from the ceiling. When the inventor woke up and believed the painter was dead, he alerted the king. As the king, his ministers, and other citizens arrived to view the scene, the painter came out of his hiding and revealed the corpse to be fake. The lifelike realism of both the robot and the corpse showed the illusions of self-control. The Buddhist saying “We are all robots” show this soullessness of all beings. Robotic guardians appeared in Buddhist legends during the Indian rule of kings Ajatshatru and Asoka. Ajatashatru designed robot warriors to defend the remains of Buddha using a powerful catapult and a war chariot. The chariot was a robot that spun maces and blades. These robots drew influence from Greco-Roman automata as King Asokda had communicated with Hellenistic rulers via ambassadors. The autonomous statues in the Egyptian legend of Rocail lived in a palace created by the god of Chaos Seth’s younger brother. Those who visited the autonomous statues mistook them for humans, showing the conflict posed by having robots so similar to humans that they cause people to question what it means to be human. Artisan Yan She of the Western Zhou Dynasty created mechanical automata, with bones, muscles, and joints, that could sing and dance in 10th century B.C. The artisan Yan Shi made humanoid automata that could sing and dance. Chinese polymath Su Song created the Cosmic Engine, a 33-foot (10-meter) clock tower with mechanical mannequins that rang bells on the hour in 1088. During the Tang Dynasty, Daifeng Ma made an automated dresser servant for the queen. Ying Wenliang created an automata man that proposed toasts at banquets and a wooden woman automata that played the sheng, a pipe-like instrument. The mythologies and stories of the Greeks demonstrated much of this desire to come to terms with death. The immortal Centaur Chiron sought death after being struck by one of Hercules’ arrows with venom. The Titan Prometheus lived forever in pain as Zeus chained him to a mountain under torture from a monster-like eagle. Some stories shared that the eagle was a robotic drone created by Daedalus. These mythologies turned the tables to view death as something to embrace and understand, rather than fear. As philosophers, writers, and other scholars pondered their existence in life given the inevitability of death, they sought a sort of immortality in their work. Searching for higher truths in fiction or even attempting to automate tasks to machines, there was this constant search for a freedom of death itself.